Neurobiology of Disease is aimed at any basic scientist or clinician scientist teaching a course or conducting research on the basic science underlying the major neurological diseases. It provides an excellent overview of cutting-edge research on the fundamental disorders of the nervous system, including physiological and molecular aspects of dysfunction. 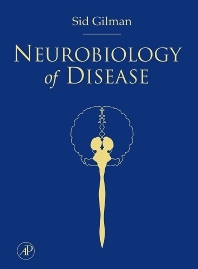 The major categories of neurological disease are covered, and the chapters provide specific information about particular diseases exemplifying each of these categories. Sufficient clinical information is included to put into perspective the basic mechanisms discussed. The book assembles a world-class team of section editors and chapters written by acknowledged experts in their respective fields. Scientists and researchers in neuroscience, neurology, neurosurgery, psychiatry, physical medicine and rehabilitation, as well as graduate students and fellows preparing for board examinations.